An Indonesian plane bound for Jakarta on Monday was grounded after passengers were overpowered by the noxious smell of durian pervading the cabin shortly before takeoff. Passengers aboard the Sriwijaya Airlines flight began complaining about the smell of what authorities discovered was two tons of durian in the plane's cargo hold, while waiting at Bengkulu airport. Crew members told passengers that the smell would disappear once the plane was in the air, but passengers demanded to remove the stinky fruit, with some threatening physical violence. Following the complaints, the crew grounded removed the fruit and departed an hour later at roughly 11:40am Jakarta time (04:40 GMT). 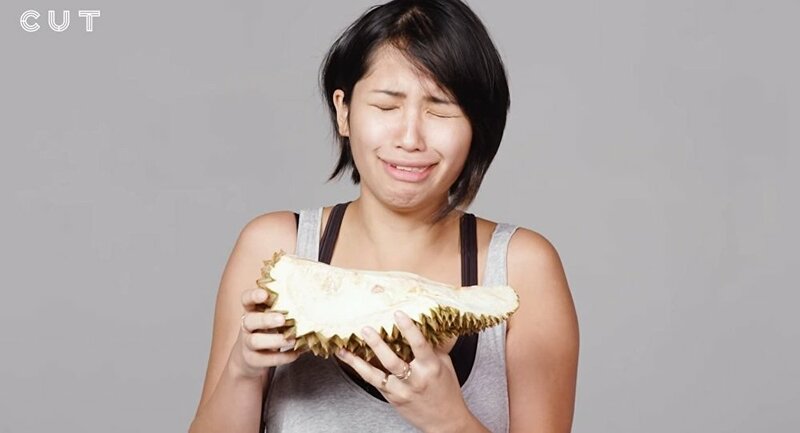 "It's not illegal to carry durian in a flight as long as it is wrapped properly in accordance with flight regulations — carried inside the hold. Many airlines do this," Retri Maya, senior corporate communications manager for Sriwijaya Airlines told the Jakarta post in a press statement. Ah, yes. Stinky Durian…I saw him play back in college. Legend. durian ma zapach rozkładającego się mięsa. Jaki smak? nie wiem nie miałem odwagi sprawdzić. "When I entered the plane, I could already smell the scent of durian. I complained to the stewardess but they told me to just fill up a complaint form," said Amir Zidane in a Facebook post. "I yelled at the other passengers 'Who on this plane wants to fly? '," he said. "They all chanted back 'not us!!'" Durian is a large, spikey fruit enjoyed across Asia, but many despise the foul-smelling delicacy. Some countries have banned patrons from carrying and eating it on public transportation, airlines, and accommodation services.